The GAS GAS UK Enduro team have announced the signing of Alex Snow for 2019. Alex has agreed terms to ride for GAS GAS UK in the 2019 British Enduro Championship, selected British Sprint and Extreme Races. He will also get GG Factory support for chosen Enduro GP and WESS races. The full GG Factory Enduro Team and race plan will be announced soon. Alex has had a fantastic 12-year motocross career riding British championships and selected Mxgp’s. 2008 British under 21 champion. 2010 King of Dirt Champion which was a combination of Mx, SX, enduro sprint and extreme enduro. 2017 British Enduro Sprint Champion. 2018 British Enduro Champion E1 Class and 4th Overall. 2018 BEC Rhayader Round outright winner. 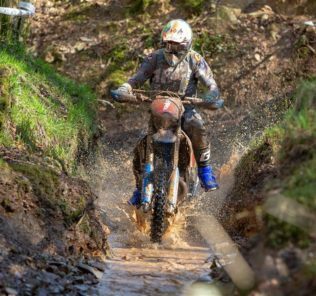 GAS GAS UK will help him with his goal of winning the 2019 Overall British Enduro Championship title. Team GB to be awarded by the ACU at the Hawkstone International.